with a D.J. Mix of Ballroom, Latin & Swing from 2:00 - 5:00 p.m.
Make dancing your New Year Resolution! First Party of the New Year, open to the public and any level of ballroom dancer! 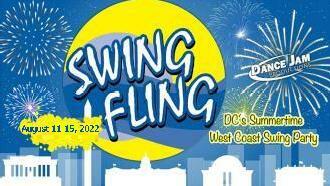 Beginner West Coast Swing at 7:30pm with Debbie, Dave and the DJP team. Intermediate instruction at 8:15pm with Erica Smith. Off Rt. 29 in Montgomery County between Randolph Rd. and New Hampshire Ave. Across from DMV. Minutes from the ICC, I-95, 495. 20 minutes south of Columbia. as we Celebrate The Year of the Pig. Social Dancing to a Ballroom, Latin & Swing Mix from 8 - 11 pm Beverages, Traditional Appetizers & Good Luck Envelopes for all Attendees. Dance at 9. $15/$10 students. Class, Dance Party, Desserts, Wine, Refreshments, & a Staff Show. Dance the night away to all your favorite Ballroom, Latin, and Valentine Favorites as we celebrate the most romantic of holidays, perfect for ballroom dancing. And don't worry single dancers. This event is for couples & singles! (Entrance on the upper level around back of the Columbia Junction Shopping Center. 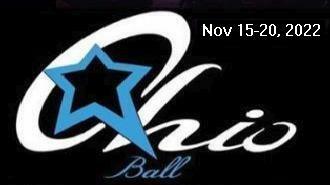 $20 ~ includes Hollywood Ballroom�s Impressive refreshments. Off Rt. 29 in Montgomery County between Randolph Rd. and New Hampshire Ave.
Across from DMV. Minutes from the ICC, I-95, 495. 20 minutes south of Columbia. Saturday, Feb. 16th, 7:00 p.m. - 11 p.m.
and a D.J. Mix of Ballroom, Latin & Swing. and pre-paid admissions will still apply. Admission $20 pre-paid by February 3rd or $25 after and at door. we'll help you accessorize with beads and masks! Singles, couples, or groups welcomed! $20, $15 after 9pm Cash or check only! Professionals are invited the join the workshop complimentary when they have a student attending that session. Rock-n-roll is alive and well! Join us for a nostalgic trip down memory lane as The Fabulous Hubcaps perform their extensive repertoire of Doo-Wop group harmony, Classic Rock and Roll, Rock-A-Billy, Motown, and R&B Music! Doors open at 7:00pm. Includes Dancing, Appetizer Buffet, Cash Bar all evening. Includes two tickets to the concert, overnight accommodations, and an American breakfast in Alexandra's! Upgraded packages upon request, based on availability. open premium bar, dancing, a costume contest and more! Dress is Cocktail attire or come dressed in the theme - late 70's disco glamour. Parking on Covington Street and Key Highway, or in the Public Parking Lot at The Rusty Scupper Restaurant on Key Highway. Take a stroll down Memory Lane as we dance to " All Danceable" Classics from the 50�s and 60�s - Foxtrot, Cha Cha, Doo Wop, East Coast Swing, Rumba - and more of those Fabulous Golden Oldies. Featuring a Performance by Nonci Tirados "Company B"
Note: While we will be playing some East Coast Swing, this is NOT a Swing Dance. 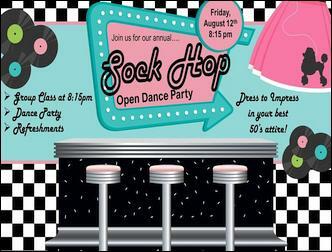 Pony Tails, Bobby Socks, Poodle Skirts, Saddle Shoes and �55 Chevys Are All Welcome! Admission $20 -Includes Lesson, Dancing, Sodas and Root Beer Floats. Prizes awarded for the best Ladies & Gents Retro outfits. 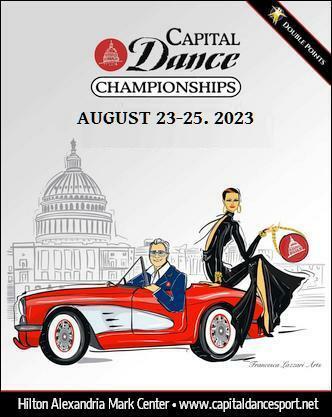 This is an exciting weekend of Dance Exhibitions from our Patrons, Students and Pros, in various styles of Ballroom Dance - Waltz, Rumba, Foxtrot, Cha Cha, Quickstep and more. 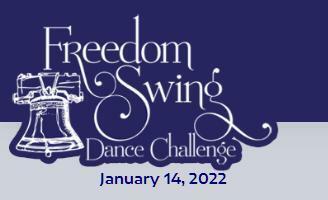 Performances will take place in sets of 4 or 5 performances, periodically throughout our regularly scheduled Dance Party, still allowing some time for Social Dancing to a mix of all the Ballroom, Latin & Swing Dances. 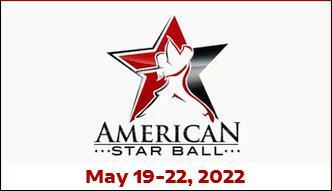 Friday Night will include performances by the �Dancing Stars� of this years Memory Ball to benefit the Alzheimer�s Association. Registration to perform opens February 1st with NO ENTRY FEE. Online entry is available or you may pick up a Registration Form on our Front Counter. Registrants will benefit from 2 hours of Free Practice time at our Studio until the night of their Showcase and free admission to the Social Dances ALL Showcase Weekend. All Dancers of All Levels and from All Studios are welcome to participate. 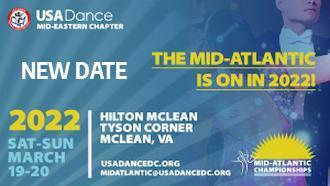 Call 410-277-0234 to register as a performer or to reserve your seat as a supporter. Music by the New Old Fashioneds. Bring a date, don't bring a date, or show what a bitchin' loner you are by dressing grody to the max, in protest. Celebrate Mexican Culture and Tradition with a festive evening of good music, great friends and yummy Mexican food. Admission $22 if paid by April 21st, $25 after and at door. Intermediate Salsa Lesson from 7-8pm and Social Dancing from 8-11pm. Wear your brightest colors, Sombreros and Serapes. If using a GPS, please enter Windsor Mill as the city. FaceBook: https://www.facebook.com/events/841023749403658/ . -- . We're starting off the new year with a bang! Daryl Davis has been a fixture on the DC music scene, and part of the swing dance scene here since it's beginning. He's known as DC's favorite Boogie Woogie man and it'll only take you a few bars to realize why! Flying Feet Enterprises starts the night with a beginning swing lesson at 8 pm, followed by dancing from 9 pm to Midnight. Cost is only $20!!! ($15 with student ID) Or, you can volunteer for an hour and get into that night's dance for free. Break out your new calendar for 2018 & ink this one in to kick of your 2018 right! Masquerade & Costume Party With A Twist, Costumes or Masks Encouraged! All are welcome to enjoy the fantasy of Venetian Lights and ambiance great dance floor, fabulous friends, food, drink, amazing music to celebrate Halloween!. FaceBook: https://www.facebook.com/events/2166789373569826/ . -- . Eric Felten's Jump Seven is a 7-piece combo playing the classic Big Band repertoire, so you'll hear you favorites from the likes of Benny Goodman, Count Basie, Frank Sinatra, and more.. And let us tell you, this band really knows how to swing!! Don't take our word for it -- The Washington Post raves that you should "catch this swinging seven-piece band in all its deserved glory." Vintage military dress encouraged, to go with the decorated Ballroom! $20, $15 students, volunteer an hour to get in free. 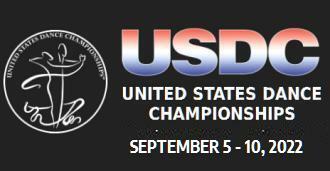 $15, $10 USA Dance members (cash only please). Dancers under 30 with ID, $5. Students under 18 are free. Singles welcome; DJ plays traditional ballroom and current hits to get singles and couples dancing. as we celebrate the season and work off the Thanksgiving Calories. All Your Favorite Dance Partners and Friends. FaceBook: https://www.facebook.com/events/524943431355775/ . -- . Daryl Davis has been a fixture on the DC music scene, and part of the swing dance scene here since it's beginning. He's known as DC's favorite Boogie Woogie man and it'll only take you a few bars to realize why! Flying Feet Enterprises starts the night with a beginning swing lesson at 8 pm, followed by dancing from 9 pm to Midnight. Cost is only $20!!! ($15 with student ID) Or, you can get on Alvar's volunteer list for an hour and get into that night's dance for free. Buffet dinner/dance party and performances by staff and guest champions. 7:15pm Awards, More dancing, Staff Show and Guest Performances! DuPont Country Club 1001 Rockland Road Wilmington, DE 19803. Beautiful decorations at the club, door prizes and more. 8:00 - 11:00 pm will be general dancing. Yes, it's Christmas Eve! Shopping all done? Come Dancing at Hollywood Ballroom! Afternoon relaxing and dancing with friends. Maybe you'll win a door prize! Monday, December 31st, 2018 / 9:00 p.m. - 1:00 a.m.
Great Single Dancer Section with Dance Hosts!! Pre-paid Reservations are Required for a Seat. Please purchase your tickets early as this event sells out every year. Celebrate New Year's Eve in elegant style. Dancing, hors d'oeuvres, and the ball drop, party favors and a champagne toast at midnight. Call the studio for tickets at 302-234-0909. FaceBook: https://www.facebook.com/events/292958961566585 . -- . It's pretty likely you know of Seth Kibel - he plays with some of the best bands in jazz and swing, and has made a name for himself in the Washington/Baltimore region on saxophone, clarinet, and flute. He is featured with the Sean Lane and Bay Jazz Project, Music Pilgrim Trio, The Natty Beaux, The Alexandria Kleztet, and more. This guy's won 28 Washington Area Music Awards, seven of them for Best Jazz Instrumentalist! To top off an already great sounding evening, the rest of the Quintet are Flo Anito on vocals and Seth's "A-List" Musical Warriors! 8p beginner lesson with Flying Feet Enterprises - drop in, no partner required, then dance from 9 to midnight! The Y is within 0.1 mi. of the intersections of Rts. 322 and 333 (to Oxford). Start the New Year with a COOL Night of Dancing under the lights. FaceBook: https://www.facebook.com/events/1291143124358159/ . -- . Flying Feet is thrilled to be bringing back the Eric Felten Jazz Orchestra to Glen Echo on Saturday, February 9th for our annual Red Dress Ball. Proceeds for the evening will go to American Heart Association! This is one evening you do NOT want to miss!!! Don your favorite red threads (casual or dressy -- you decide! ), grab your dancing shoes, and round up your favorite dance partners* for an evening of great music and fine dancing!! Drop in lesson at 8pm by Flying Feet Enterprises; dance goes 9 to midnight! Dress is business casual. Everyone is welcome, No partner or experience is needed. $12; $10 USA Dance members. Pay at the door. Feb 9 - The Twinkle Club's Cheers to 60 Years! Cocktails (cash bar) & Dance lesson at 6:30pm. Catered dinner at 7:00pm. Music starts at 7:30. Dress: Jacket & Tie, Dressy Casual. Members $20 - Guests $30. It's a Dance Party To LOVE! Ballroom dancing for all levels, Singles and beginners welcome! 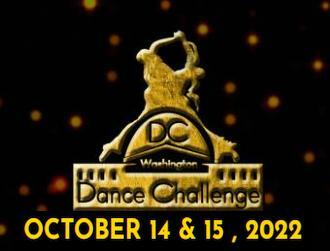 $15; USA Dance Members: $10, Under 30 $5, Students under 18 are free (cash only please). Dressy casual attire; smoke and alcohol-free event. 715 S Schumaker Dr, Salisbury, Maryland 21804. Halley Shoenberg has been playing clarinet and saxophone for dances at Glen Echo Park for 20 years, most recently with her own group, �Halley�s Hot Gumbo Swingtet,� the Tom Cunningham Orchestra, the Craig Gildner Big Band, and Shannon Gunn and the Bullettes. She now fronts her own 11-piece Revival Jazz Band & boy do they swing!!! We heard them back in November and knew we had to have them play at one of our dances! As a dancer herself, Halley knows what the dancers want and trust us when we tell you that this band delivers! Lesson by Flying Feet Enterprises at 8pm, dance til midnight. $20, or $15 with valid student ID, or email volunteers@flyingfeet.org to volunteer an hour and get in free. bid on special items, great trips, and a signature diamond piece from Zachary�s at the live auction. The gala includes a sit-down dinner, dessert and dancing to music by C&J Entertainment! Your Favorite Dance Partners and Friends. Dancing to great music(!) by DJ Randy Morrison. $10 per person to attend. professional dancers show you how to trip the light fantastic! $40 Ticket includes beer, wine and snacks. 2535 Veterans Dr, Wilmington, DE 19810. Door opens at 7:00 pm. $15, includes lesson, dance, buffet style food and desserts. 9:00-12:01AM: Dance Party with DJ's Tara Stotz, Kenny Roesel, Frank "G", and the occasional special guest! $15 includes all group classes and the party! Full time student $10 includes all group classes and the party! Every second and fourth Thursday. 7:30pm Beginner lesson or Salsa Combination class. 8:30pm DJ Eric B hot salsa mix. Cover $8 before 8:30pm and $10 after. 1300 Bank Street in the Holland Mfg. Building at the corner of Bank Street and Central Ave. Street parking usually available. $3 Secure parking lot directly across the street. Enter building at glass doors on Bank Street, stairs or elevator to second floor. Class runs from 7pm to 8pm with a Free practica from 8pm to 9pm. Ballroom Dancing To Live And Recorded Music. Every Wednesday Ballroom Dancing from 6:30 - 9:30 at the Parkville American Legion. Helmut Licht plays strict tempo recorded and live ballroom music. He plays solo except on the first Wednesday of the month, when his full 14 piece Ballroom Big Band performs. $ 17.00 includes 1/2 hour beginners lesson, a fix-your-own-sandwich bar, chips, pretzels and sodas. On big band night admission is $ 20.00. Student with a valid ID pay $ 12.00. Check the website for occasional dark nights! Why wait until the weekend to Dance? 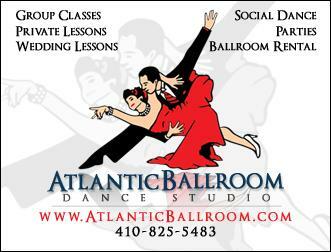 Join us at Atlantic Ballroom every Wednesday night beginning in August from 8:30pm to 10:30 pm. 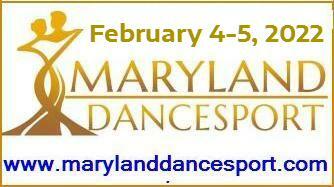 Dance to Baltimore's BEST ballroom, latin, swing, salsa and more. A great time mid week to practice all the moves you have been learning. Also a wonderful way to meet other dancers and have fun. Atlantic Ballroom will provide lite snacks and drinks. Singles and Couples are welcome. Admission: Members $6.00 Non-Members $12.00 College Students with ID $8.00. 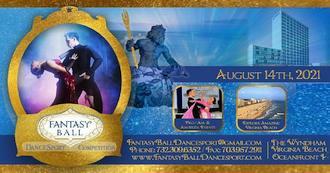 Atlantic Ballroom is located at 8819 Orchard Tree Lane, Towson, MD 21286. Come on out to the NEWEST & HOTTEST night of dancing! Live or recorded ballroom dancing music will be playing from 6:30 - 9:30. Setups (pretzels, chips and sodas) will be available immediately for the duration of the evening. A cold cuts table with a bowl of tossed salad will be available from 6:30 to 8:00. B.Y.O.B. First Wednesdays The Helmut Licht ballroom big band performs 7:30-9:30. Students with valid ID $12 always. DJ dance 8-10:30pm, only $5! FREE for college students with a valid ID. No excuse to stay home! Swing dance to your favorite recorded music in a casual, friendly club environment. Parking, food and drink available, so there's no reason to stay home! See http://www.gottaswing.com for more information on classes, dances and special events. Doors open at 7:30 - $15 admission and $12 admission for students with ID. Light refreshments provided, plenty of parking. Cash is preferred. Upscale nightclub for the hottest salsa bachata night in town. Dancing starts at 10 pm. Valet & garage parking available. - Gratuity of 17% included on bill for food and drinks. Join us for a Weekly Celebration of The Good Ole USA! Every Friday night 8 to 11pm enjoy great music for Ballroom, Latin & Swing Dancing! Enjoyable as Ballroom Dancing can be, we know everyone experiences some level of difficulty at the start. We also know that More Advanced Dancers can often be distracting or intimidating which may add to your anxiety and inhibit your ability to learn. For that reason, our doors are open only to You, the Beginner Dancer, and your Dancing Peers, for the first portion of this evening. We hope this will add to your comfort level and allow you to put your best foot forward, as you progress. 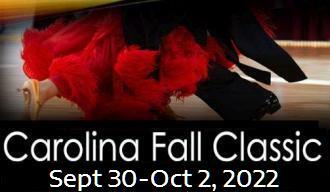 SCHEDULE: Teaching, in rotation, Waltz, Cha Cha, Foxtrot, Rumba and Tango. Check our Calendar for the lessons of the week. Admission is $15 per night or a Ten Week Pass is available for $100. At 9pm we will do a Social Mixer. It is during this Mixer that we will open the Dance to our More Advanced Dancers, who we strongly encourage to join in and possibly help you with a step or two. They will have a Discounted Admission of $10. Music, dancing, and mayhem with Michael Seguin and Sarah Sullivan. The pier at the end of South Broadway Baltimore, Md. Dance Surface: Faux tile dance floor (cheap linoleum). in garages a couple of short blocks west on South Caroline Street or Thames Street. Come early to enjoy one of the many restaurants in the area. End of Broadway Pier in Fells Point. Floor by Sam Austell, Faux tile movable dance floor (cheap linoleum). If rain is threatening please check www.baltimoretango.com after 3 pm. Claudia Barrazza hosts a fantastic Salsa "Block Party". 9pm to 2am $12 admission. 9:00 to 9:30 Lessons included. Hosts Dean & Dawn Garrish treat you to a great evening of Country Dancing featuring Two-Step, West Coast Swing, Country Waltz and Cha Cha. Also some Line Dancing in the middle of our huge 5,500 s.f hardwood floor. Check Dean & Dawns website for the dances taught each month. with a variety of highly trained instructors. Single Dancer Section and Student Section Available. Big Band music at our Pavilion area every Saturday beginning the third Saturday in June through the second Saturday in September. Also classic rock bands on Friday evenings. Friday night the gate opens at 6:30pm. Saturday night the gate opens at 5:30pm. Admission: $14 Purchase Your Tickets On-line. A romantic evening under the stars with regional big bands, light-rock and oldies groups perform for listening and dancing on tree-shaded patios. Bring a picnic supper and lawn chairs or a blanket. The Picnic Fare & Nissley Wines page describes the food concession, picnic suggestions and wine service. The Upcoming Concert page ha updates on the current week's concert. Check the amenities and policies page. July 9 - Mood Swings - more than big band! August 13 - Mood Swings - more than big band! Best Music in Town! Beginner lesson at 7pm with a dance party beginning at 8pm til 11pm. Light refreshments included. No partner necessary! 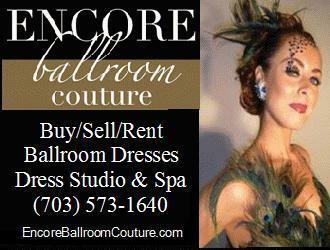 Come join us in our 4300 square foot ballroom! College & High School Students Welcome! Light snacks and drinks provided. 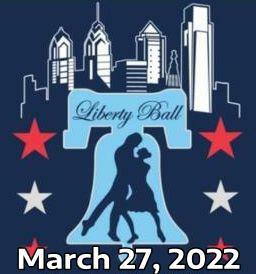 The First Singles Dance & Social is Saturday April 21,2012 from 8:30AM - 12:30PM. The events are for 40 & Over. Events will be held the 1st & 3rd Saturdays of each month. Dance is being held at the Columbia Gym. Located at 6151 Daylong Lane, Clarksville, MD 21029. $12@door/Cash Bar. We're featuring a team of Exceptional DJ's. We have 2 separate dance floors. One for Ballroom, and one for Freestyle. Seeing Is Believing... When you see the inside of the Gym, you'll understand why two very social dancers chose this location. The Columbia Gym offers unique spaces, an Atrium for socializing, open areas,and is All visually stimulating. Directions are on the web site - The Gym is located off of RT 108 & RT 32. You can get to it from RT 29 or I95 (It's Behind the River Hill Shopping Center). Blob's Park Social Dance Club sponsors live music every 2nd & 4th Saturday of the month at the American Legion in College Park. This americana/roots live music includes country, rock/oldies, big band swing, western swing, rock-a-billy. All dances are open to the public, all ages welcome. Plenty of parking on-site in the front and back. Join us on the largest Dance Floor in the Baltimore / DC area, for our, Every 3rd Saturday, West Coast / Hand Dance / Freestyle Dance Party. We're Not Just Ballroom Anymore! We don't care how you Dance, as long as you Dance with us! 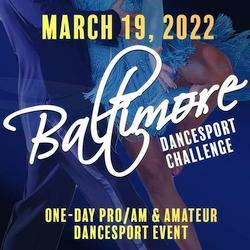 While the majority of The Promenade's Calendar is devoted to Ballroom, Latin & Swing, Social & Competitive Dancing, we like to encourage Dance of any and all Styles and will now be hosting a Freestyle Dance Party, on the 3rd Saturday of every month, for those who want to throw out the rule book and dance to the beat of their own Drummer. We are located West of Baltimore City, between I-695 exits 17 & 18. If using a GPS, please, enter 'Windsor Mill", as the city. 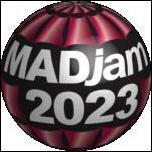 8:30 � midnight Social Dance Party Everyone is welcome! The First Singles Dance & Social is Saturday April 21,2012 from 8:30AM - 12:30PM. The events are for 40 & Over. Dance is being held at the Columbia Gym. Located at 6151 Daylong Lane, Clarksville, MD 21029.
areas,and is All visually stimulating. or I95 (It's Behind the River Hill Shopping Center). Open-air concerts on the spacious lawn of the Nissley Winery. Paul and Debra are happy to assist all dancers with problems or questions�just ask! (You don�t have to be one of their students). * The music adheres to strict International timing, works for American style, too. 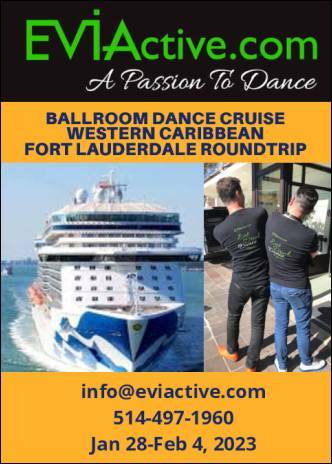 Practice your dance moves on 5,500 square feet of Floating Hardwood Dance Floor, as we play a two-in-a-row, rotation of International Style, Strict Tempo, Waltz, Tango, Foxtrot & Quickstep with Viennese Waltz included in every other rotation. Sunday evenings from 7:00 - 9:00 p.m.
from 2:00 - 5:00 p.m. with a D.J or a variety of live musicians. Check our Website for weekly details. Admission includes coffee, tea, juice, sodas and lite buffet. August 22 Mike Surratt & E.C.B. Full Hour Beginner Lesson from 7:00 - 8:00 p.m.
from 7:00 - 7:30 p.m.
from 7:30 - 8:00 p.m.
Dance Party from 8:00 - 11:00 p.m. every week. For directions or more information visit our WebSite. Dance to the NEW LEGACY JAZZ BAND 2-3:30pm, FREE! Dancing 6 to 10 Salsa and Bachata. Ludo's Ballroom @93 Old Route 28, Whitehouse, NJ 908-534-0004 Dance social every friday night from 8-11:30 pm - Refreshments, DJs, Dance Hosts, singles and couples welcome! We have the most popular social in the area! Blob's Park Social Dance Club sponsors live music every 2nd & 4th Saturday at the American Legion in College Park. This americana/roots live music includes country, rock/oldies, 30's/40's swing, western swing, rock-a-billy. Bolero lesson with Aggie at 7:30. $12.50,$10 USA Dance members (cash only please). Includes lesson , Singles welcome; All levels of dancers welcome. advanced Hand Dance lessons at 7:00 unless otherwise noted!